You know how I've been complaining about not having any time off to tie up all the loose ends surrounding our wedding? 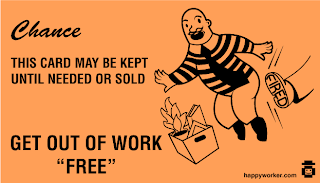 Well, I HAVE THREE DAYS OFF! Yes, three whole days off from work in a row and I'm going to use that time to the fullest. My mom is here with me today to map out a battle plan for the next 65 days of my life...and to shop for a new wedding dress (I promise to explain what's going on with that soon, but for now, read this for details). While I'm busy taking care of business, I was hoping you could help me out with yet another small detail: the boutonnieres. At first, I was against having the guys wear boutonnieres at all because I thought they had to look like this. It wasn't until I saw what the guys wore in Elsie's wedding did I start to realize that we could do something a little more modern, but I really don't have the time at this point to research these things the way I would like. I want the boutonnieres to be more than an ugly carnation. I want them to have meaning. I want them to look awesome in our pictures. I want them to be something that the guys (or at least their girlfriends) would be able to keep as a memento of Our Special Day. I'm pretty sure that I won't be able to convince the moms in this bridal party that a Captain America on Wil's breast would be totally cool and appropriate for church, but if I can at least get them to approve of the concept, I'd be a very happy camper. 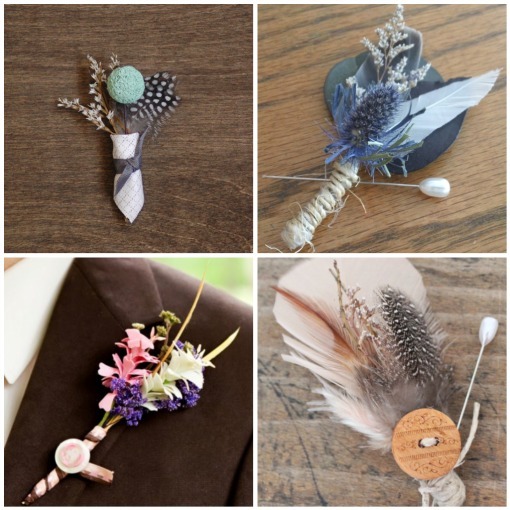 I emailed a couple of vendors on Etsy about their handmade boutonnieres and how quickly they can ship them out to me. I need you to take a look at the ones I liked (they're below). Do you like them? Do you have any other suggestions for me? Hell, can you look around on Etsy (or anywhere) and send me links to boutonnieres that are similar to these (and maybe cheaper)? I want something different-something that's more like us-but I just don't have the time to look. Any and all help will be greatly appreciated! Amethyst Sunflower, Blue Giraffe Artist all via Etsy. I really love that blue one! So pretty! and last link (i swear) would be this one, but with fall colors! Whichever one uses only synthetic rooster feathers or no feathers at all. Good luck with the final planning!